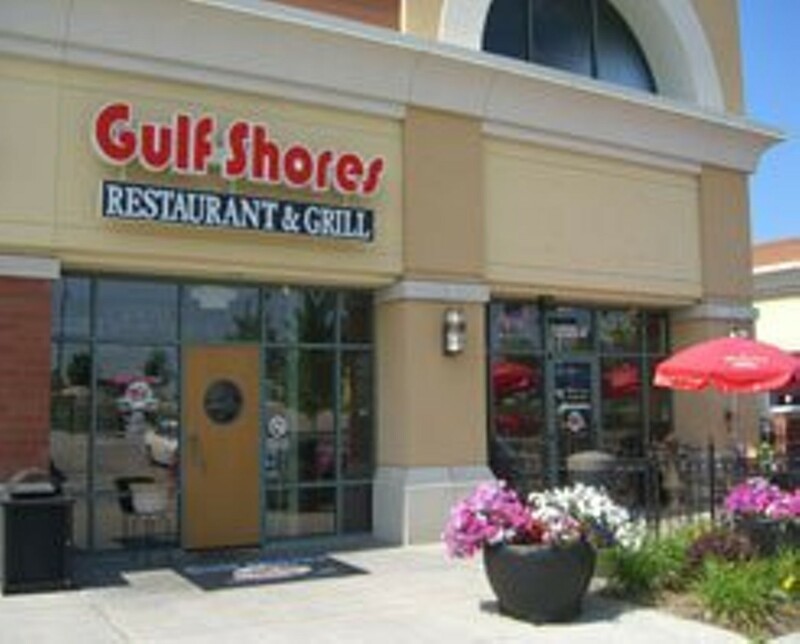 In 2008 Gulf Shores Restaurant & Grill took over the space previously occupied by Joey's Seafood in a strip mall along Olive Boulevard in Creve Coeur. While the menu remains seafood-heavy, Gulf Shores adds a New Orleans flavor to the items. Appetizers include Cajun okra, alligator and a few classics from closer to home, including toasted ravioli with Cajun spices. Entrées feature jambalaya and oysters along with other pasta and seafood options and sandwiches (yes, they have a po'boy). 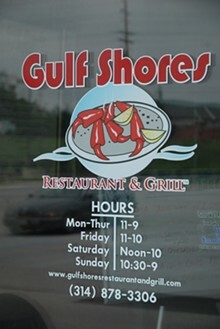 Gulf Shores also serves up fish and chips with a choice of five different fish. The dinner menu expands on lunch to include a variety of steaks and other specialty items such as the "dump dinner" - a seafood boil featuring shrimp, crab legs, mussels and andouille sausage. 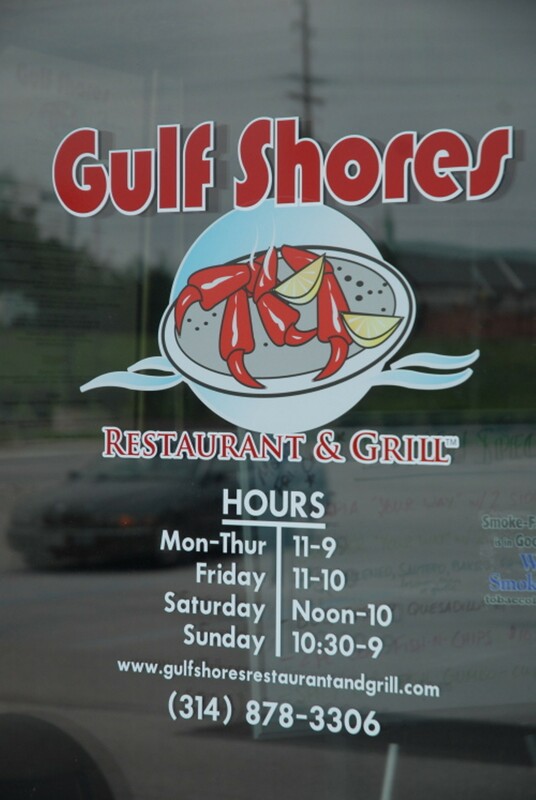 Gulf Shores also offers a kids' menu, to-go menu, catering, Sunday brunch and a special Thursday "N'awlins" menu with items including crawfish-and-shrimp étouffée, frog legs, gumbo and beignets for dessert. battered & tossed in our own blend of very mild cajun spices. ask for extra spice if you like them that way. served with our cajun ranch sauce. chicken, andouille pork sausage, okra, onions & celery are combined with rice, a secret blend of seasonings and simmered slowly. not real spicy just plain good! blackened tuna, seared rare on top of a blend of romaine and iceberg lettuce, spinach and field greens. topped with grape tomatoes and feta cheese. served with our house dressing. the best in town. an extra large tomato basil tortilla stuffed with shredded cabbage, pico de gallo, cheese and homemade salsa blanca sauce. your choice of chargrilled tilapia, blackened chicken, shrimp or steak. made from scratch with andouille sausage, rice, shrimp, chicken, roasted peppers and onions. served with a corn muffin and 2 sides.